It’s no secret that I love Stargate SG-1—it’s got aliens, mythology, and some kickass female characters. Unfortunately, Stargate still has a lot of failings, and watching Orphan Black has brought to my attention at least one more thing that Stargate has done wrong. About halfway through the show, we meet the System Lord Ba’al. Like other Goa’uld, he’s a parasitic creature that has taken over an innocent person’s body called a symbiote. Eventually, when the Goa’uld start losing power, Ba’al tries hiding out on Earth for a bit. While there, he gets the bright idea to clone himself, and the entire storyline never sat well with me. 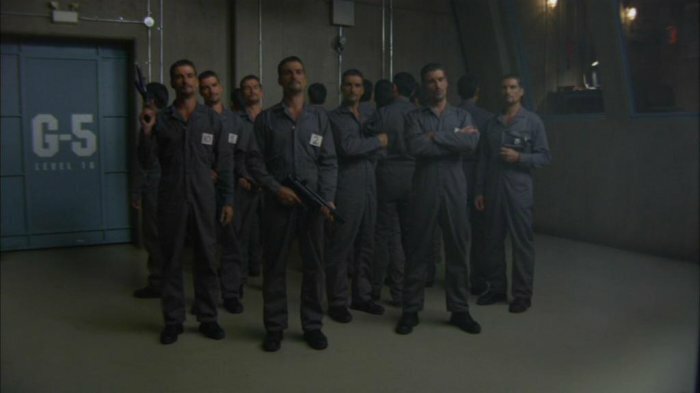 To start, the whole cloning thing just seemed like a cheap copout to have our villain be in multiple places at once and allow our heroes to kill him over and over and over again without actually getting rid of his character. When I was younger, I also had some concerns for how the show handled this from a more moralistic point of view, and as I said, it wasn’t until watching Orphan Black that I realized exactly what was so wrong with this storyline. For a show that’s so focused on bodily autonomy, I don’t think anyone really thought through the implications of having one of their villains clone himself.